Vacations, if done right, give one time to process, renew, and recreate. The 5000 mile road trip we just returned from, did just that. It’s probably because I had zero to no expectations that I return so rejuvenated. I find that expectations are merely premeditated resentments – and that does no one any good. Speaking of resentments, I discovered I was harboring a few. And, as any good recovering addict knows, it is the resentments that get us into trouble. 12-steppers seem to have an advantage here. For it is those who have never hit rock bottom that don’t seem to understand, or see, how their resentments are holding them back from a life of serenity. Speaking of serenity, a life free of guilt and remorse also helps one achieve this and often, those who have not crashed, have missed opportunities to make amends and clear the slate. It is a great place to be, in serenity that is. One has much time to think whilst driving 5000 miles across the plains of North America. There is much NOT to see in Southern Wyoming, Central Nebraska, and places in between and beyond. I-80 follows much of the original Oregon Trail route – and once you’ve experience the flatness and plainness, you no longer wonder why our ancestors chose that route. It was clearly the flattest. In seeing good friends and reminiscing about our times together, I began to reflect on the events of the last year, the last five years, and the last 13 years. Some things became more clear to me. Mainly how any resentments I was harboring. I found that I had resentments towards my situation, my new friends, my old friends, the failure or our last project, the expectations that people have of me now, and the expectations I had for myself. I resented our move, I resented the people of Colorado Springs that didn’t buy into our plans, the people who didn’t support our dreams, the people who shut down our project by not investing more resources, the people I now work with, and the people who are resisting our current efforts. Last Tuesday morning, as we began the return trip home, I began to release these resentments one by one. We landed in Oregon in October 2007 and after a few day’s stay in a Best Western Motel, we found ourselves unloading an overly packed moving truck and settling into a new home. For several months, all we could think about was how surreal the whole experience was. It seemed as if one minute we were working our tails off in sunny Colorado Springs, and the next we were standing in a new house in misty, gray, foggy Oregon. 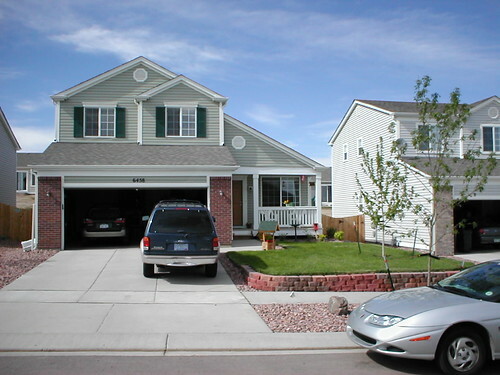 Our Colorado Springs house was our first. Our children were born there. For five years our dreams were in Colorado Springs, but now we were in Oregon. How did this happen? I resented my dreams for moving us and not supporting the successes we were experiencing. I resented my old friends for not working harder. I resented my new friends for not understanding what we had come from, nor what we had been through. I resented my new situation for not preparing us better. I resented the new expectations put upon us. I resented the failed dreams. I resented the pain my family endured during the course of the uprooting and replanting. I resented myself for not adapting better. I resented God for putting us through this – or at least allowing it. Admitting all of these resentments began my journey to acceptance, release, and healing. There were some real bright spots on this vacation. Reconnecting with old friends and letting them know they are still loved. Though leaving was hard, and not of our own choice, we had to let go and let the next person take the reins – this meant we made few efforts to maintain contact. But our lingering hugs and tears reminded our friends of our love. There were a couple of people with who I made direct, intentional amends. Cross country apologies don’t work well. People need to see our watery eyes, feel our hugs, and hear our repeated apologies. One of these encounters was a long time coming and was well received. It was good. Some friends of ours have been through their own private hell in the last year and we took some time to hear their story. It was helpful to us to have the blanks filled in; and I believe it was helpful for them to fill in those blanks. Loving hugs and healing – what a great thing! I now realize that many of the resentments I have been holding were undeserved. I also realize that I have some amends to make here in Columbia County. And because I’ve let go of these resentments, I am re-energized and anxious to hit the ground running! Expectations are a dangerous thing. The resentments these bring can be fatal. The quicker we let go of our resentments, and take steps to prevent future occurrences, the healthier and more serene we will walk through life.